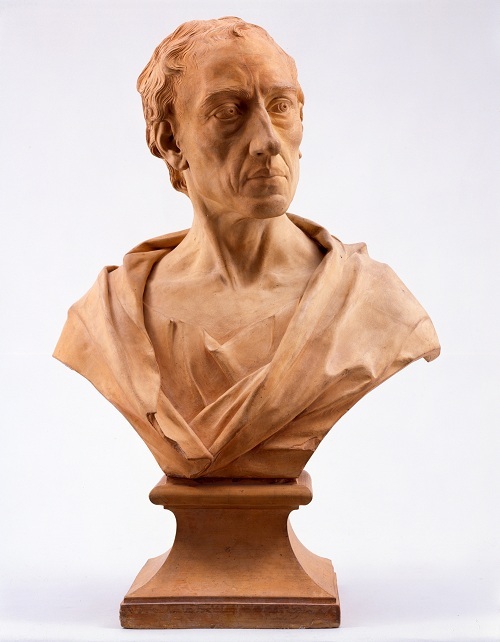 The poet Alexander Pope (1688-1744) was suffering from tuberculosis when he sat for his portrait. Roubiliac made no attempt to hide the poet’s physical suffering, but his intellectual power still shines through. As befits the translator of Homer, Pope is dressed in classical costume and he is shown in a bust format associated with antiquity. 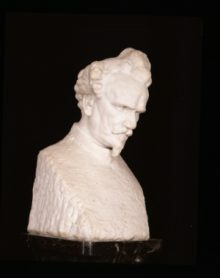 This is the original terracotta model made from life and from which four marble busts were subsequently carved. Roubiliac was born in France, but came to Britain in 1732 where he was soon established as the leading sculptor of the day.